The Indian Spotted Eagle was once considered to be a subspecies of the Lesser Spotted Eagle. It wasn't considered a separate species until a researcher named Parry made a case in 2002. The Indian Spotted Eagle is believed to have the widest mouth of any other spotted eagle! Though there have been reports of 2 eggs laid in a single clutch, scientists have yet to observe two chicks in a nest. Though more research is needed, one explanation could be that the bigger, stronger chick kills its sibling in the nest. This is known as siblicide. The Indian Spotted Eagle is also known as the Long-legged Eagle. 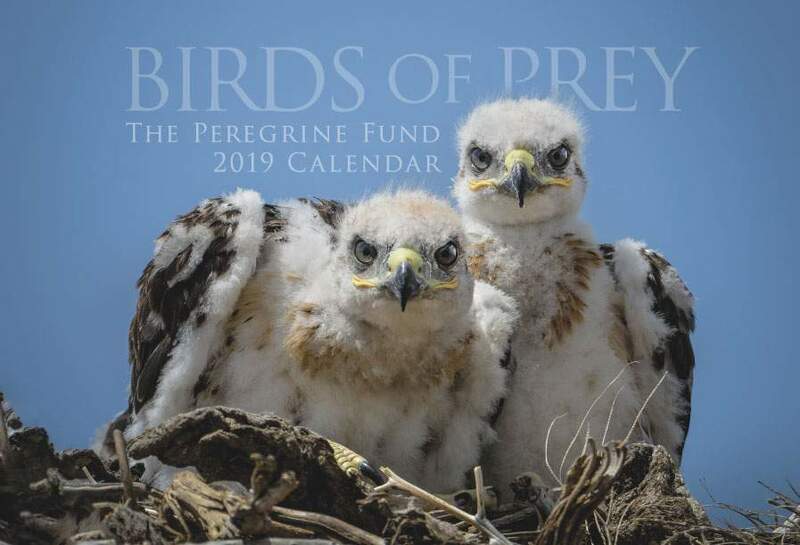 Though The Peregrine Fund doesn't work directly with Indian Spotted Eagles, our efforts in scientific research, habitat conservation, education, and community development help conserve raptors on a global scale. We also supply literature to researchers from our avian research library, which helps scientists around the world gather and share important information on raptor conservation. As its name suggestions, the Indian Spotted Eagle lives in India. It also inhabits parts of Nepal, Myanmar and Bangladesh. 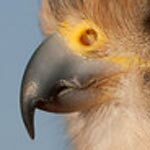 This medium-sized eagle can be found in a number of different habitat types, including tropical and subtropical dry forest. It might also be seen gliding on wide wings over open woods or wetlands, hunting for frogs above agricultural fields or forest clearings, or even perched in a tree in an urban garden. One researcher observed that Indian Spotted Eagles spends time in different habitat types dependng on the season. In the summer, the Indian Spotted Eagle is often found in groves of trees surrounded by grassland and fields. In winter, it is more often found near marshes. This is likely due to prey availability in different areas during different times of the year. Imagine a pair of dark eyes staring at you from the tree tops. As you peer closer, you note the overall light brown and cream feathers that cover its head and body, and the wide gape of its mouth. 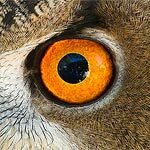 If you are in the right place in Asia, you may just be staring at a beautiful Indian Spotted Eagle looking down at you. Though you might suppose that a bird with the word "spotted" in its name, would be covered in spots, perhaps like a flying cheetah! In fact, the young Indian Spotted Eagles do appear to be spotted, thanks to the contrast between their dark brown feathers and lighter, creamier-colored patches on the head, neck, and wings. However, as the eagle moults into its adult plumage, it takes on an overall darker appearance - losing its "spots" so to speak. The Indian Spotted Eagle is a powerful hunter. Like many raptors, this eagle is a top predator, meaning it hunts other animals for food but no animals hunt it on a regular basis. Not all predators are top predators. For example, snakes are predators which prey on mice, birds, and other animals, but they also are preyed upon by other animals that feed on them. For most top predators, their only threat is humans. Top predators, such as the Indian Spotted Eagle, play an important role in nature by helping to control populations of prey animals and maintaining a balance in the ecosystems where they live. The Indian Spotted Eagle is a diurnal raptor, meaning it is active during the day and spends its nights roosting or resting, probably up in a tree where it is safe from danger. Though the Indian Spotted Eagle, like all wildlife, has to be cautious around predators, many researchers have commented that the Indian Spotted Eagle is actually quite tame around people, perching calmly in trees in paddyfields and sometimes even nesting in large urban parks. The Indian Spotted Eagle is considered Vulnerable - this means its future could be at risk in the long term. Sadly, this eagle is facing many threats throughout its range. One of the problems is that forest is being cut down and turned into agricultural fields, or human settlements - meaning important habitat for this species is disappearing. Though it might be surprising to know, there is some debate about the true status of the species. That is because this eagle is so easily confused with the more common Greater Spotted Eagle, so it is hard to know which species is actually being seen and reported by observers. If you were an eagle what would you eat? The answer is probably just about anything you could! This is true of the Indian Spotted Eagle, anyway. This species has a long list of animals on its menu including mammals like the Five-striped Palm Squirrel, which it snatches up from the ground, and birds including Stone Curlew, Blue Jay, Grey Partridge, Common Myna, Bustard Quail. Red-wattled Lapwings , Purple Moorhen, and egrets. It also feeds on reptiles and amphibians including Garden Lizards and Bull Frogs. The Indian Spotted Eagle pair nests in a round, flat nest placed in a fork near the top of a tree. The female does the majority of the nest building, although the male occasionally helps out by bringing some sticks to her,which she arranges in the nest. When the time is right, the female will lay usually one, but sometimes up to two eggs. Once the eggs are laid, both the male and the female will work hard to incubate the eggs - meaning they will spend long hours sitting on the eggs, occasionally turning them carefully, to ensure they are kept at just the right temperature for the young embryos to develop into healthy hatchings. The eggs must be incubated for around 31 days! While the female is on the day-shift for incubating the eggs, the male isn't sitting idly by. He is very busy on the hunt. It is his job to find enough food for him and for the female, which he brings to her at the nest. After the young hatches, the male has to work even harder to feed his entire family, which has just grown by one mouth! He brings the food to the female who then carefully feeds the young by ripping small pieces of meat and passing them to the chick with beak. Over the next 70 days or so, the young must eat a lot so it can grow big and strong. It will begin to fly for the first time when it is just over 2 months old. Though researchers have found the Indian Spotted Eagle to be relatively comfortable around people, they have also documented that it will desert its nest easily if disturbed too much. The World Center for Birds of Prey offers fun ways to learn about raptors. The visitor center has interactive displays, tours, interesting videos and a children's room with activities from coloring sheets to quizzes to costumes and a touch table for the curious mind. Knowledgeable staff and volunteers are on hand to answer any questions you may have about Indian Spotted Eagle or any other bird of prey.